We had a seamless ride, after my late arrival, enjoying the waterfront cycleway around Botany Bay , across the Taren Point Bridge then on the cycleway over the wetlands beside Woolooware Bay to Crunulla. Our gang opted to elongate our ride an extra 20km to Kurnell , out along Captain Cook Drive, through Botany Bay National Park. Bicycle NSW says “The gear up girl challenge is ALL about being active, feeling good about yourself and making a difference by leading an environmentally friendly lifestyle” Bicycle NSW is proud to support TAD Disability Services as the gear up girl charity for 2014. This event is well organised and I have to stress how vitally important TAD’s assistance is to people with disabilities. The TAD’s workforce includes retired engineers who volunteer their skills. The TAD team provides assessments free of charge and subsidizes the cost of Freedom Wheels Bikes to families who often face overwhelming financial hurdles. 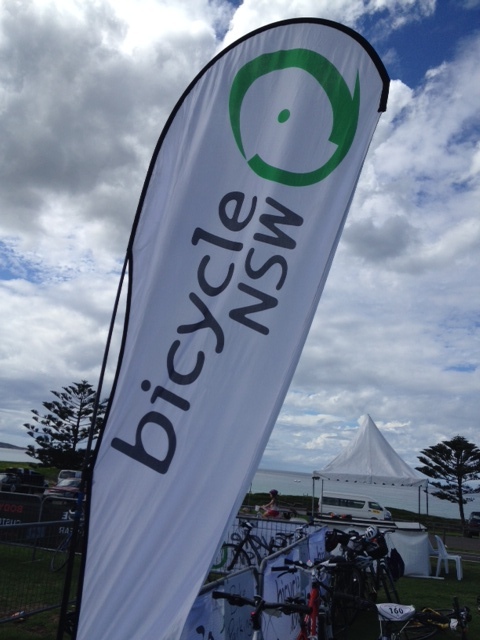 Well done Bicycle NSW, well done girlfriends – we fund-raised for TAD’s to make a difference, to deliver adapted, custom-built pieces of equipment to facilitate a disabled person’s freedom! 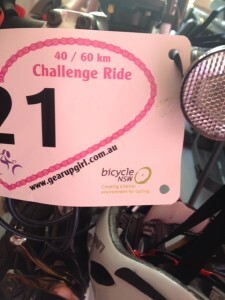 This entry was posted in Advocating Ability and tagged Fundrasing, Gear Up Girl, Resources for SCI in the community, TAD Disability Services by everydaycarer. Bookmark the permalink.